Bay Fish N Trips have partnered up with Elite Day Tours to provide the perfect land transportation vehicles for groups. Come out for a fishing charter or cruise before heading off to explore the Mornington Peninsula further in a vehicle that suits your needs. No need to worry about who is driving as that is already covered. Prices listed are for Mornington Peninsula and Melbourne pickup and drop offs. Tanina from Elite Day Tours is a fabulous host. if you wish to add her to accompany you at any stage of your package combo, please let us know and we will organise a quote for her service. 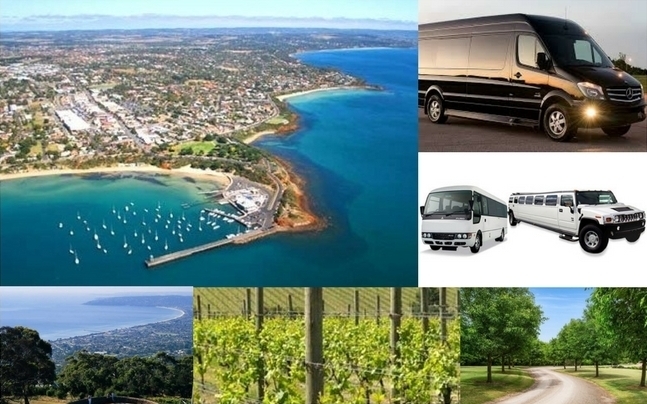 Elite Day Tours can get you to some of the best food and wine venues that the Mornington Peninsula has on offer. For further regarding fishing on Port Phillip Bay or to discuss land transport options please call Sandra on 0418 349 364. NB. Fishing trips are subject to availability and weather conditions.